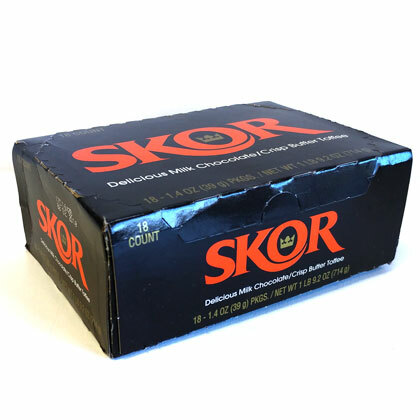 SKOR toffee bar with crisp buttery toffee enrobed in delicious milk chocolate. This bar is a distinctively rich treat. Made by Hershey. Approx. 6 inches long. 18 count 1.4 ounce bars.